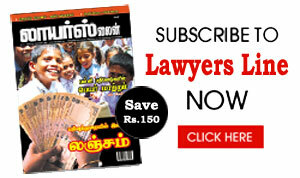 LAWYERS LINE, a well-known monthly magazine in Tamil, dealing with jottings on judiciary, has come out with two compilations of yearbooks pertaining to 2013 & 2014. These dissertations offer you pleasant reading material bordering on thought-provoking insights and socially-impacting solutions. Voluminous in size and hollistic in nature, these yearbooks provide very beneficial digests to the people who are thirsting for an end to myriad hardships plaguing their existence in this planet for years together. 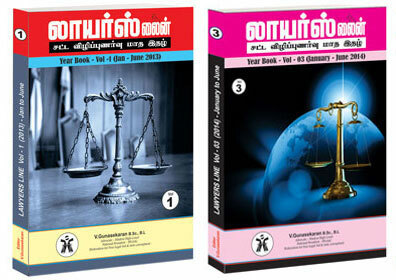 Articles in these volumes have been penned with in-depth explanation and potential vocabulary. 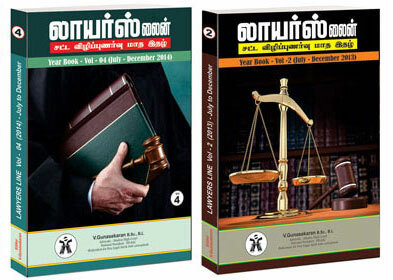 Even a layman, without any knowledge of law, once introduced to these books will become an addict to the neat handling of the cases and issues. Verdicts of Supreme Court and various High Courts have been transcreated and translated with superb artistry and superlative imagery. These compendiums elevate the status and standing of the person who holds them in his hand.